The Franklin (MA) School Committee meeting originally scheduled for March 13 and snowed out by the blizzard was rescheduled and held on Thursday, March 22. Due to the reschedule, Franklin TV was not broadcasting the meeting so the audio recording here is made available for the community. Asst. Superintendent Joyce Edwards reviewed the homework planning underway. 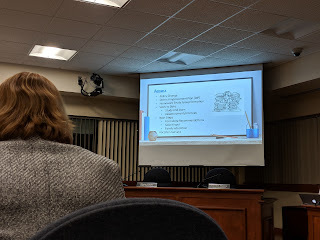 The slides from the presentation are not yet posted to the Schools webpage so the photos captured during the meeting can be reviewed along with the audio to better understand what was presented. 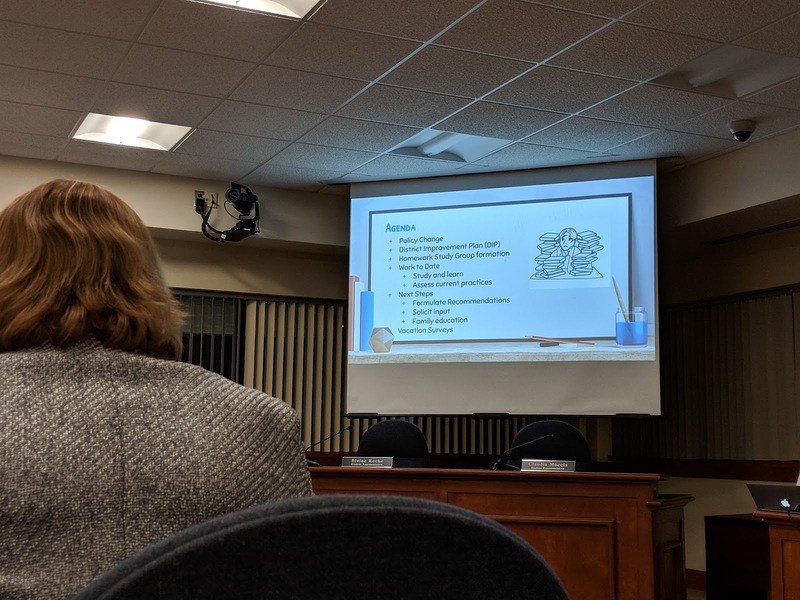 It was revealed during the subcommittee update portion of the meeting that the School Start Advisory Committee actually met for the first time this week. The Advisory Committee was appointed in a prior meeting yet only one name for the committee has been posted for the membership. The Advisory Committee page did get updated (post meeting) to remove the form that was still asking for volunteers for this important work.